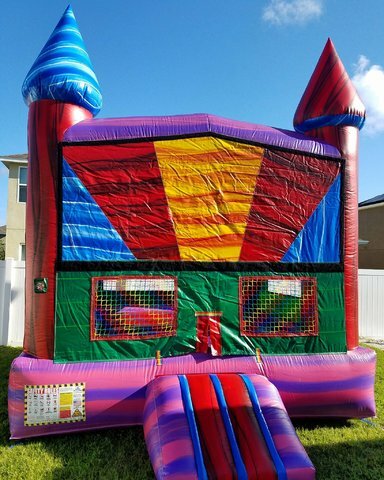 Marble Castle Bounce House Rental | Bouncewithfuntimes.com Clermont FL. Our 13ft. x 13ft. Marble bounce house rental with basketball hoop inside is the life of the party and the best in the Four Corners and surrounding areas! This bounce house is brand new and has the WOW factor! Perfect inflatable bounce house rental for any party, event or festival you name it! We service the Four Corners area including Kissimmee, Clermont, Winter Garden, Davenport and Windermere. Be sure to add on our new Soccer Darts / Baseball Darts Challenge to help entertain everyone!